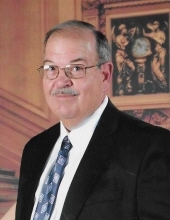 Mr. Bruce Keith Dethloff passed unexpectedly from this life on January 19, 2019 in Deer Park, TX. He would have been 66 years old on January 25, 2019. Bruce was born on January 25, 1953 at Baptist Hospital in New Orleans, LA to Jesse Lee and Margie Dethloff. He had resided in Mont Belvieu, TX for the past sixteen years and was employed with DOW Chemical of Deer Park, TX. Bruce graduated from Moss Point High School, class of 1972, and received his Bachelor of Science degree from Mississippi State University in 1976. He was a very talented trombone player and performed in MPHS Concert and Marching Bands. Bruce was in the Mississippi All State Band, and he also performed with the MSU Band. Bruce completed his working career with DOW Chemical. He attended First Baptist Church of Moss Point and sang in the choir for many years. Bruce also attended Kreole United Methodist Church. He was a very outgoing and friendly person who never met a stranger. Bruce took pride in triumphing over the small tasks of life as well as conquering the major challenges life can bring. He was very family oriented and demonstrated this by making an effort to attend and enjoy all family functions. He took special delight in his daughter, Deanna, and grandson, Titan. Bruce was preceded in death by his grandparents, Captain Frank and Lula Dethloff and Carver and Irene Cunningham; his parents, Jesse Lee and Margie Cunningham Dethloff; brother-in-law, Lenwood E. Tillman; and his in-laws, Thomas Earl and Melva Switzer Huff. He is survived by his daughter, Deanna Leigh (Jonathan) Stokes; grandsons, Titan Lee Stokes and Mitchell Traven Valentine; brother, Frank L. (Sarah) Dethloff; sisters, Ann Dethloff Tillman and Margaret L. Dethloff; niece, Lisa Tillman (Tom) Rose; nephews, Gray (Bea) Dethloff and Brandon Dethloff; and great-nephews, McKellar Dethloff and Ricky Kozak. He is also mourned by his former wife, Delores Huff; his step-children, Kristi (Jacob) Prassenos and Mitchell B. Valentine Jr; and his step-grandchildren, Kaydee Smith, Jakeb Smith, and Ava Marie Prassenos. The visitation for Bruce will be held on Saturday, January 26, 2019 from 11:00 a.m. until 1:00 p.m. at First Baptist Church SBC of Moss Point. The funeral service will follow at the church beginning at 1:00 p.m. with Bro. Michael Perry officiating. Interment will be held at Machpelah Cemetery in Pascagoula, MS with Mitchell T. Valentine, Gray Dethloff, Wayne Dethloff, Kai Den Bleyker, Richard Huff, and Danny Seal serving as pallbearers. Honorary pallbearers will be Bruce’s classmates from Mississippi State University and his co-workers from DOW Chemical. To send flowers or a remembrance gift to the family of Bruce Keith Dethloff, please visit our Tribute Store. "Email Address" would like to share the life celebration of Bruce Keith Dethloff. Click on the "link" to go to share a favorite memory or leave a condolence message for the family.